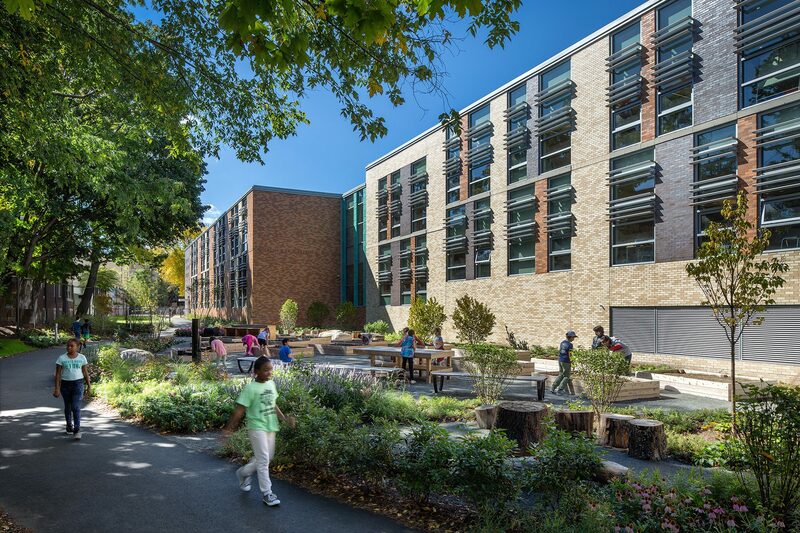 The open space design by CRJA-IBI Group for the Coolidge Corner School in Brookline blurs boundaries between play and learning. 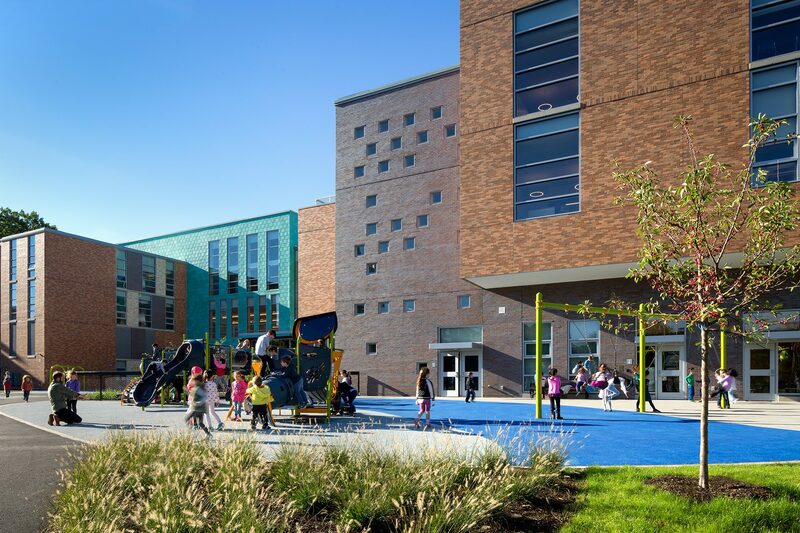 The school serves the vibrant Coolidge Corner neighborhood and is the town’s largest pre-K-8 public school, with a population of 816 students. It enjoys an international reputation: historically, it is the public school that President John F. Kennedy attended. 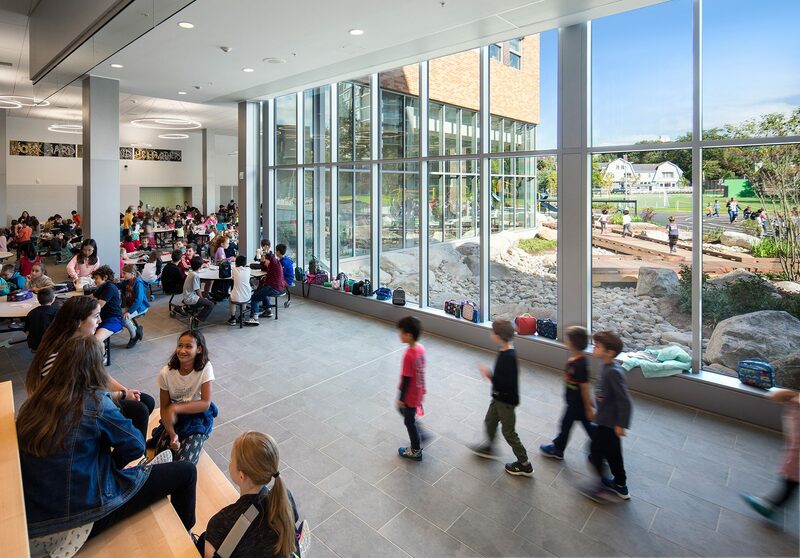 The Town of Brookline first called for a Feasibility Study in order to identify a building and site solution that addressed the needs of the growing student population and the existing outdated facilities. 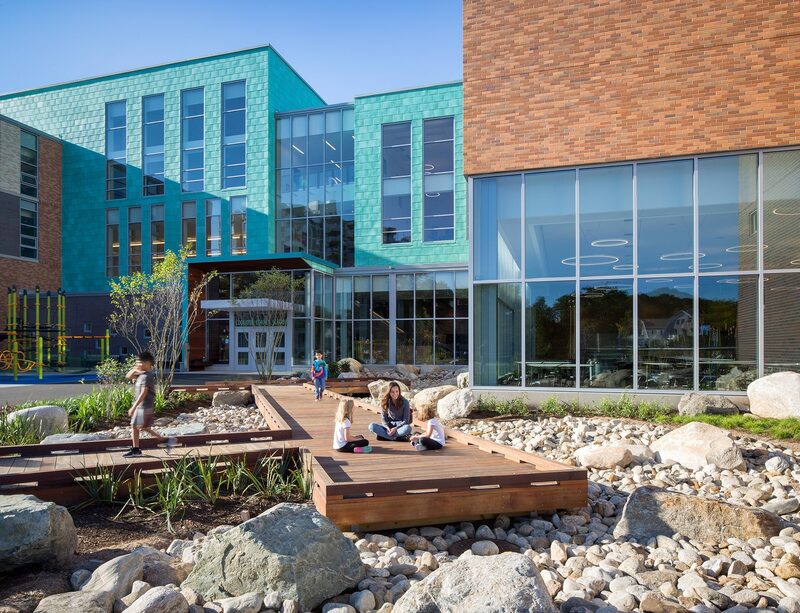 Working with the project architects, CRJA-IBI Group studied various site utilization options that would address these needs, while meeting the schedule and budget set forth in the Massachusetts State Building Authority Guidelines. 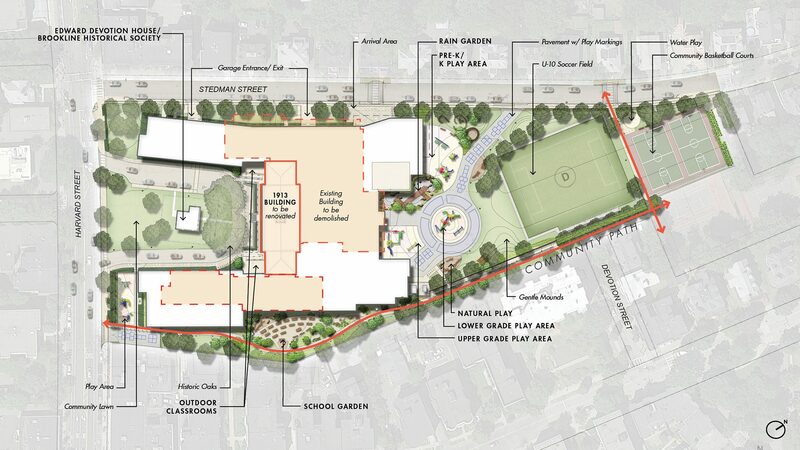 The final site design came forth from a collaborative design process involving the Town’s Building Committee, Open Space Committee, School Committee and several invested users and abutters. 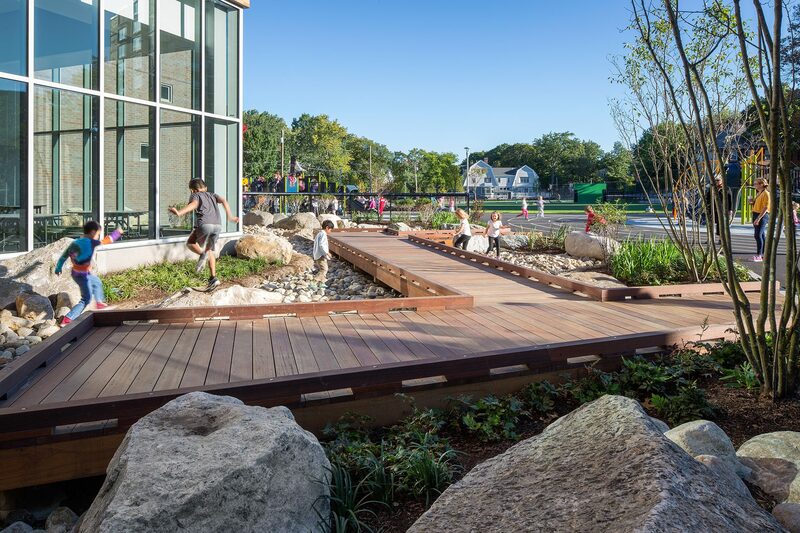 CRJA-IBI Group envisioned the open space at the Coolidge Corner School as an integral part of the school learning environment, promoting physical activity through structured and free play, blurring the boundaries between play and learning. 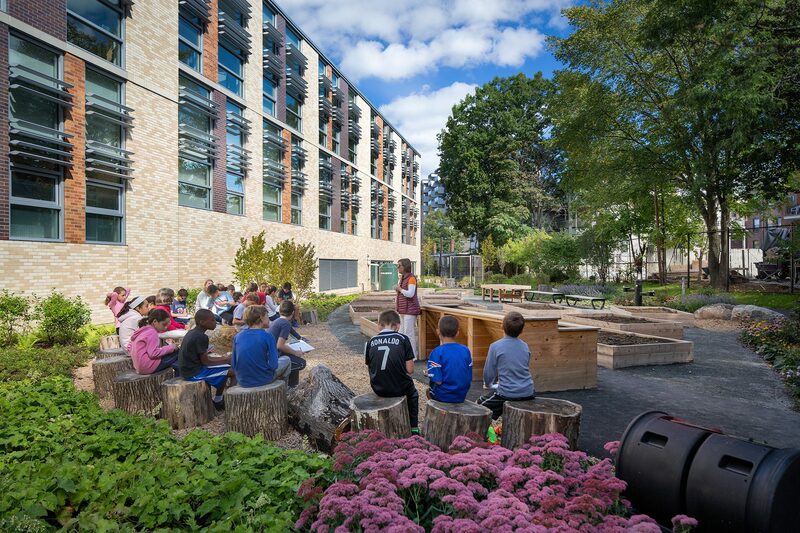 Highlights of the site design include a U10-soccer synthetic turf field constructed with organic coconut-cork infill (instead of the traditional crumb rubber), a first for the Town of Brookline, a school garden with garden boxes and pollinator-friendly planting, a rain garden demonstrating the benefits of sustainable storm water management, a diverse tree palette, and several play areas for structured, natural and water play. 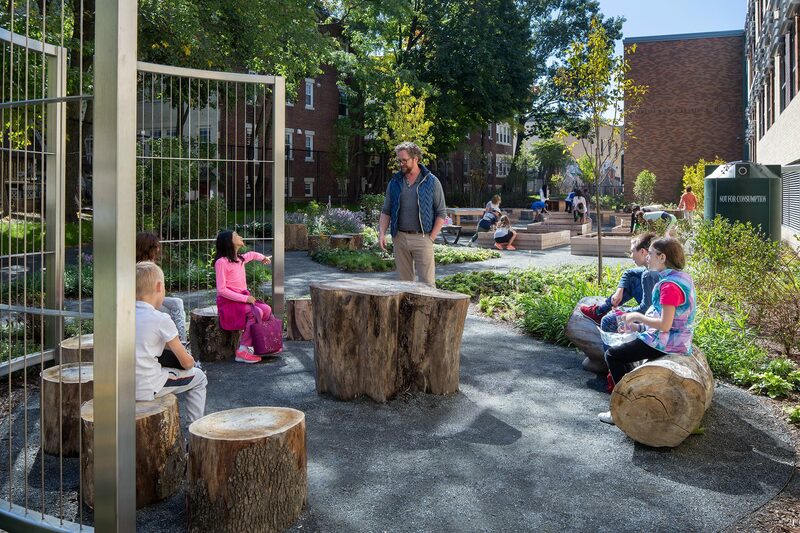 Natural play components include varied topography, whether level areas, rolling shallow mounds or depressions that collect water, areas of specially designed digging soil to allow children to explore the dirt, climbing log spirals, fallen logs and seat stumps, all created from existing felled trees. 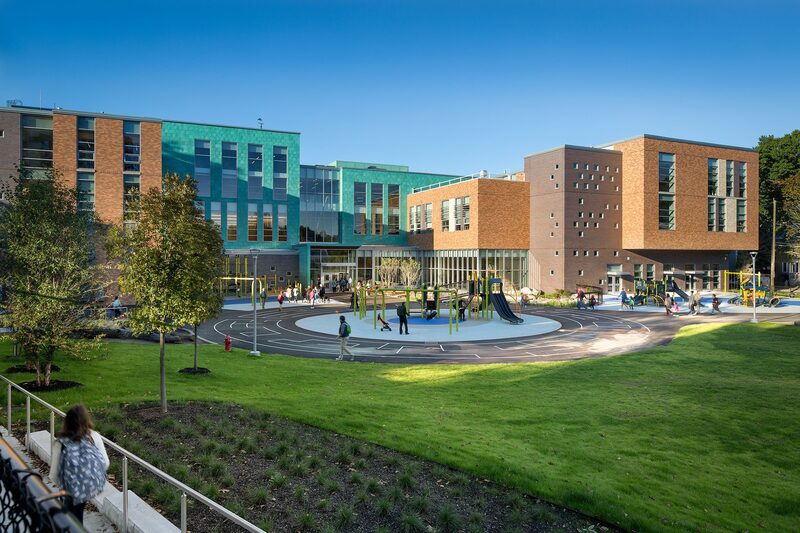 Even pavement required for fire access was repurposed for play, and painted to accommodate four square, hopscotch and mazes, and is sometimes a blank canvas for spontaneous art. 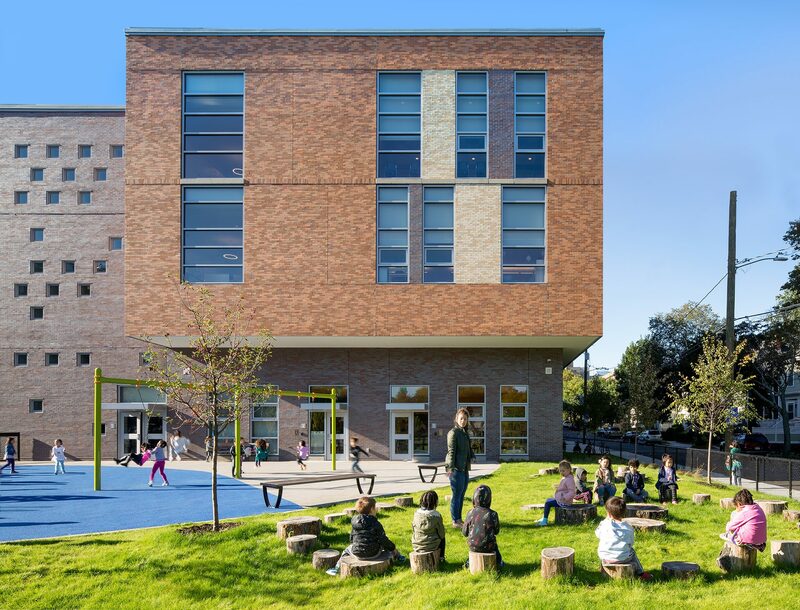 The school recently opened to students in August 2018.